There was a time when Arctic Monkeys could do no wrong. Alex Turner’s wry, savvy social commentary marked him out, at a mere 19 years of age, as a Poet Laureate for millennials, his lyrical dexterity earning comparisons to John Cooper Clark and Jarvis Cocker. The scorching, clever guitar anthems of their debut led to chart-topping singles, the Mercury Music Prize, and a rumoured million pound record deal; the last great superstar band, destined for greatness, headliners of the future. And even as they matured and mellowed – through stoner rock, glittering guitar pop, funk-lite jams, and haunting, slinky indie – the albums got grander, tours got bigger, and they established themselves, commercially and critically, as genuine twenty-first century heirs to the likes of U2 and Oasis. New album Tranquility Base Hotel + Casino, 11 tracks of vampire soul grooves and floaty, lounge-jazz crooning, is certainly a departure for the band; it’s hard to imagine ‘Star Treatment’ or ‘The Ultracheese’ wowing late-night festival crowds. But what’s more interesting is the critical reaction to Turner’s abrupt left turn and attempt at gravitas. 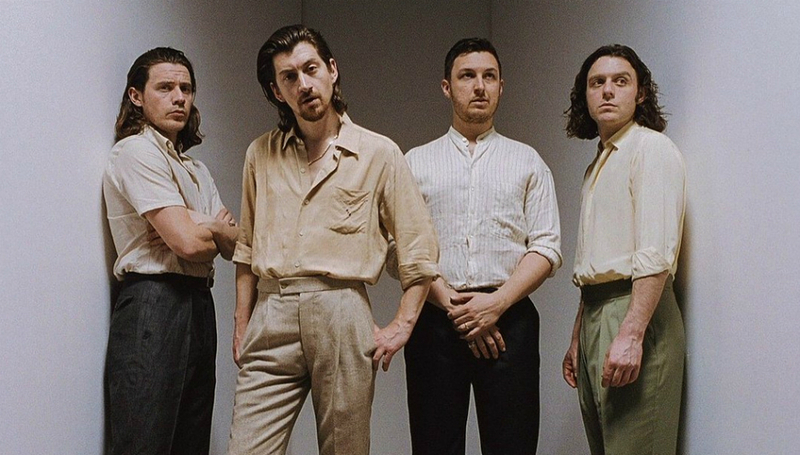 Predictably, the legions of lager-swilling #ladz for whom Turner is a Proper Bloke playing Real Music have been hilariously outraged, yet the album has also split critics, with many being instantly dismissive of what they claim to be an indulgent, vapid mess of a record, heavy on narcissism and ridiculous, nonsensical lyrics. There has always been a damned-if-they-do-damned-if-they-don’t approach to bands of a certain stature, especially from the fickle UK press; serve up more of the same and you’re dismissed as boring, attempt the new and exciting and you’ve lost what made you great in the first place. But the opprobrium heaped on the Monkeys since Friday seems different in nature; it seems personal. The lyrics, the concept, the press photos; all have been sneered at in condescending tones, the band – especially Turner – mocked for indulging in such grandiose concepts. Why is this? Wild Beasts were venerated for dismantling masculine tropes with ambitious, emotionally intelligent guitar pop. Father John Misty’s post-modernism and arch, metatextual jokes are lauded (despite possession of a personality that wavers between irritating and downright obnoxious). And there are plenty more who carve grand, sweeping themes into their music and take on bold projects, receiving plaudits if not for the final product then for their ambition in aiming for the stars; just look at how well received Damon Albarn’s opera about monkeys was. Perhaps their northern roots count against them; perhaps it’s a class thing. No-one this century has injected such wit and charm into catchy social vignettes about chip shops and taxi rank scraps better than Turner, but do we really expect him to be gadding about Rotherham and Hunter’s Bar still, aged 32, wryly observing the locals? They’ve long since taken up residence in LA, a place where detachment and nocturnal excess can easily lead one astray, yet Turner has only ever sounded drunk on his own cleverness, skewering late-night trysts and the seedy, unromantic underbelly of the City Of Angels with the same laser focus he once reserved for his hometown. The worst scorn has been reserved for his lyrics. Cryptic at the best of times, there are certainly some dense concepts and confusing narratives on Tranquility Base, unsurprising given that David Foster Wallace’s Infinite Jest was a major influence. And yet to denounce them as a form of Accidental Partridge, as one site did, is simply a lazy way to get a cheap laugh. Dive into the words of many acclaimed artists and, on paper at least, they can be easily picked apart and mocked – it’s strange, and extremely hypocritical, to see so many critics who regularly fawn over the avant-garde openly sniggering at Turner’s verbosity without even attempting to decode his abstract references. There’s a certain chutzpah to burning your band to the ground and showing casual fans the door. At the very least, Arctic Monkeys should be applauded for cutting ties to their trademark sounds so thoroughly and evolving far beyond loud guitars and beer-soaked revellery; isn’t this precisely why Oasis, and the Gallagher brothers, are so derided? Turner has literally aimed for the moon and stars and clearly feels the band can weather such a trip, the success of such a transformation being of secondary importance to the fact it’s being undertaken at all. Reinvention has always played a key role in greatness, from Lou Reed to Blur, Radiohead to Madonna. Arctic Monkeys have yet to reach such heights – and perhaps never will – but totally remodelling a popular band in pursuit of artistic goals is a brave move. Turner clearly wants to operate in more rarefied company and stretch the limits of his talent, and why shouldn’t he? It’s a decision that deserves credit, and a little more respect. Read the DiS 7/10 review of Tranquility Base Hotel + Casino here, then head over to our forums to discuss what you think of the album here.